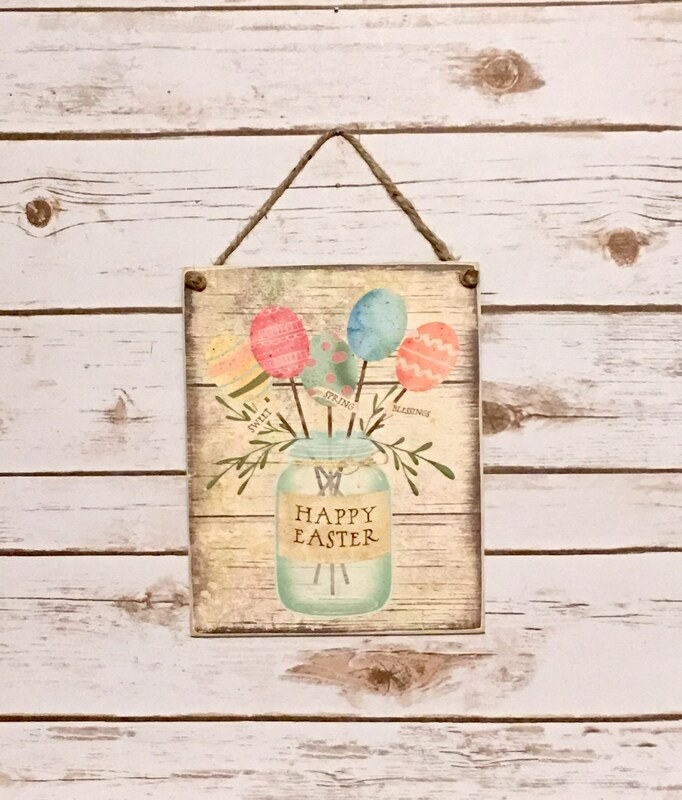 Happy Easter...Sweet Spring Blessings...wonderful sign for your Easter decor! 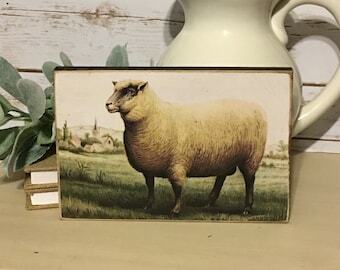 Measures 8" x 10" x 1/4"
Made from thin birch wood with the sweetest Easter print attached to the front. The sign is distressed for a timeworn look. The back and the sides of the sign are painted black. Ready to hang with attached jute hanger. This is so pretty! I wish it was a little bigger. Arrived quickly and well packaged.